Working in collaboration with Phil Davies at Diamine I was asked to come up with a name for a sample of the ink he'd sent me to have a look at, labelled 'No 93'. I was intrigued and Salamander was born. It reminded me of the colours of Royal Flying corps bi-planes during WWI so I had a look for some more information. It is cool to be able to read behind the scenes notes like these. Check out the link for more details. Salamander surprised me once I inked up my TWSBI Mini 1.5 mm stub to test with. I was expecting kind of a dark olive black ink, and while those colors come through, the depth of the color was intriguing. There is a lot of brown, a wide range of green, and a nice sheen that shows on the Rhodia paper I tested on. I tried to get a close-up of the sheen and only partially succeeded. It is not always immediately apparent, but after drying it does show up in certain light. Very cool. 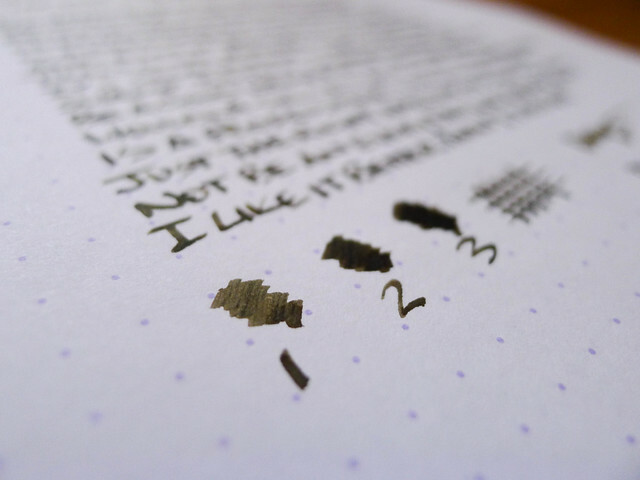 The real gauge for me is if the ink will crack my every day rotation. 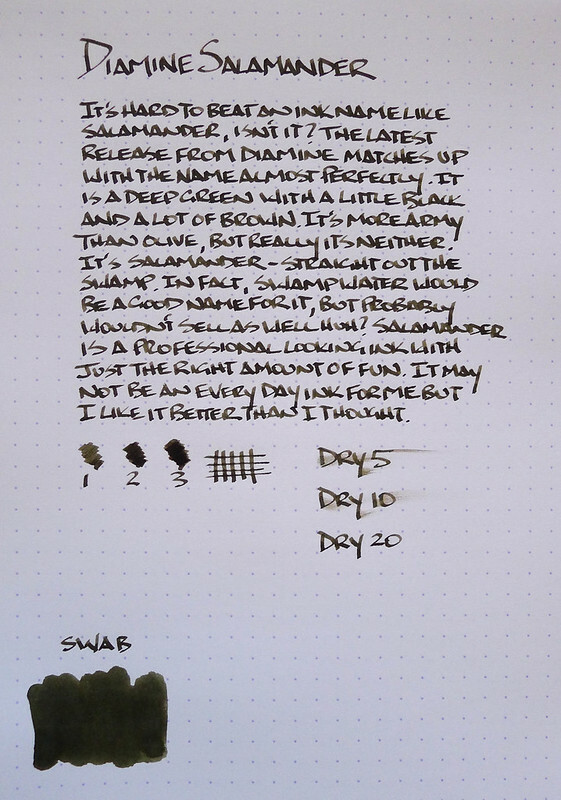 Right now, Diamine Salamander is a no, but it is a close second tier color, around the Noodlers 54th Mass level. It will see intermediate action for sure. Well worth checking out if you are a fan of greens and browns. 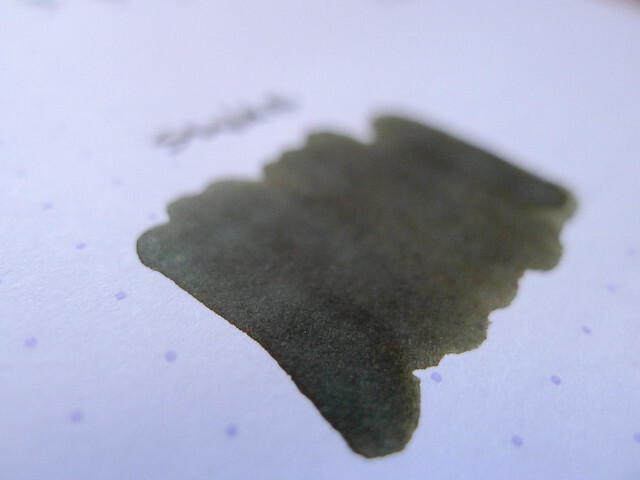 Posted on November 7, 2013 by Brad Dowdy and filed under Diamine, Ink Review.